The first episode of Cadillac’s marketing campaign for the ATS takes place in Patagonia, home to some of the most unforgiving winds on earth. It just so happens to also be a great place to test the all-new Cadillac ATS’ advanced aerodynamics, given the substantial crosswinds and headwinds. Thanks to the ATS’ advanced aerodynamics, it tools 1 minute 54 seconds of steady driving, in the extremely windy conditions. The numbers? Average speed was 94.8 MPH and top wind speed was a whopping 48.1 MPH. The wind speed of 48.1 miles an hour in Wyoming that’s called a Summer breeze. Although it must be exciting to drive 100 miles an hour over a bridge made in China. 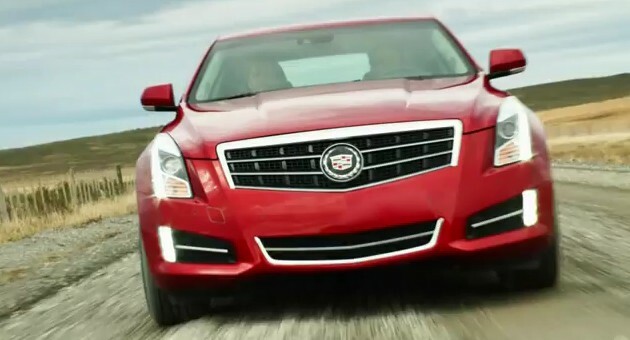 wy gm always use a red car///this is not a nice color for the caddy..
this ain’t not freaking Rustang! it’s a Caddy. the day Cadillac starts running racing stripes will be the day Cadillac has officially given up all hope at being a respectable luxury brand. what was this supposed to prove? love the color by the way. boo all that lame not even remotely high quality or classy dark blue, or the ‘me too’ i’m so “Euro sophisticate” silver…BORING. the ATS is anything but. the car has really nice lines, probably the best since the 60s and deserves a color that shows off that body. love the machined on silver wheels as well. I didn’t say anything about a Cadillac with racing stripes that’s just silly. Stripes should be vehicle appropriate. And I didn’t even say anything about racing stripes all the stripes I were talking about would be 100% street legal.